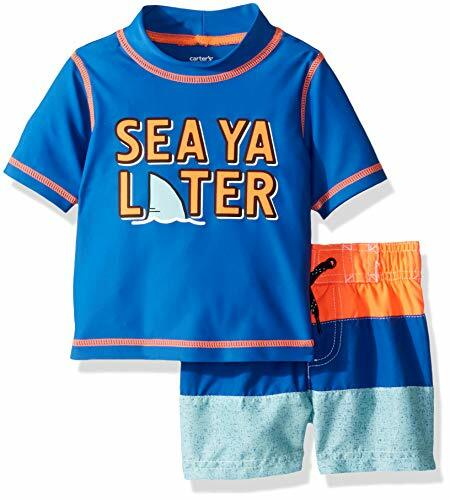 2-piece rash guard set with UPF 50+ sun protection, screen-printed slogan, and covered elastic waistband. 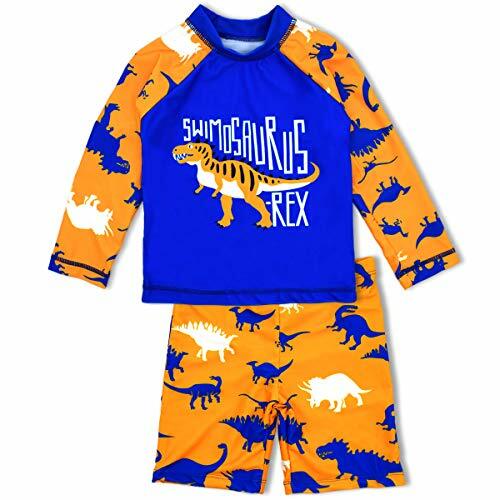 FUNCTIONAL FABRIC: 80% Polyamide and 20% Elastane,high quality assured rash gurad swimsuits for boys. DURABLE AND FLEXABLE: Highly chlorine and salt resistant fabric,low water retention and extremely quick drying.Four-way stretch and shape memory. 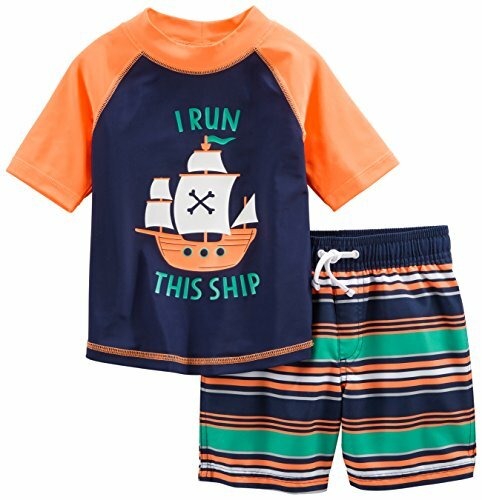 STYLISH SWIMSUITS FOR BOYS: Long sleeve bathing suit rashgurad swimwear with long sleeves,designed with high collar for optimal sun protection. 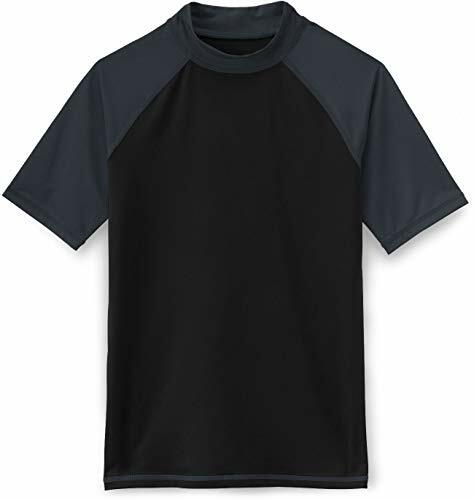 EXCELLENT SUN PROTECTION: Boys Sun protective swimsuit fabrics are rated UPF 50+ and provide maximum UV sun protection by blocking 98% of UVA + UVB sun rays, wet or dry; similar rating as SPF for sunscreens. Great for the Beach, Lake or Pool and excellent for learning to swim or for extended periods in and around the water. 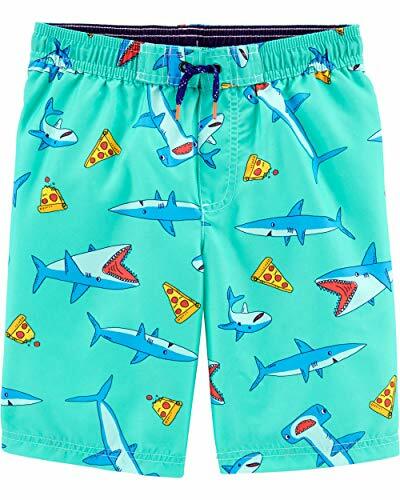 Pair these trunks with a matching rash guard to complete the look. UPF 50+ protection easy-on, no-pinch waistband with draw cord. It will making you feel lightweight while sporting in the water. Side pockets to carry small accessories or water bottle. It featuring elasticized waistband with drawstring which could fit you perfect, the outseam is about 21 inch. 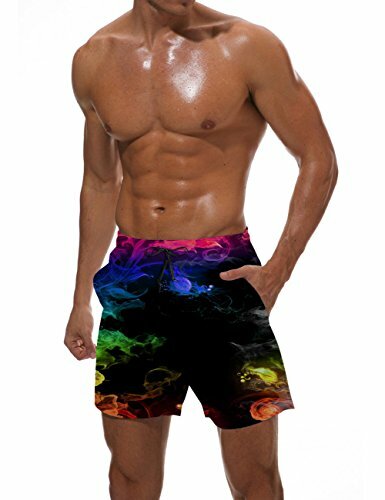 Features: Professional fabric for the swimming trunks with two side, wrinkle free, quick dry, lightweight, breathable. The unique design, smooth feeling fabric and exquisite workmanship will bring you a better experience of wear. 1.As different computers display colors differently, the color of the actual item may vary slightly from the above images, thanks for your understanding.